All across the U.S. and Canada, The Sherman Sheet is relied upon by financial advisors, RIA's and brokers at firms of every size - from the largest wirehouses to the smallest one-man shops. View our brief introductory video and sign-up for a 30-Day Free Trial to put The Sherman Sheet to work for you today. Simplify your life. Grow your business. With The Sherman Sheet as your private market expert, you'll become a more confident, assured and valuable resource to your clients than ever before, and you'll enjoy more freedom to concentrate on the real business of your business - managing clients and attracting new ones. To speak with one of our team members about our service, please call us toll-free at 1-888-957-3438. We'll be happy to discuss how we can simplify your life and grow your business. Would rather spend their time on client matters than on market analysis. Would benefit from having a simple, sensible supply-and-demand based framework for explaining markets and strategies to clients and prospects. Have clients in 401k, VA or other circumstances where hold-time and trade frequency restrictions are important. Need strategies which can be implemented across the spectrum of client profiles. Would rather proactively guide their clients through difficult times and bear markets, instead of telling them to simply, "hang in there." Attend a Live Webinar. Take a Free Test Drive. Apply CPRs to your Practice. For more in-depth information about our service, register to attend our live webinars. On Tuesdays we discuss the "why" of what we do, and on Thursdays we cover "what" is included in a Sherman Sheet subscription. To get a no-pressure, no-obligation, no credit card required 30-day Free Trial of The Sherman Sheet, just click here now. At only $125 per month, after the Free Trial, we're confident The Sherman Sheet will pay for itself many times over in your practice. 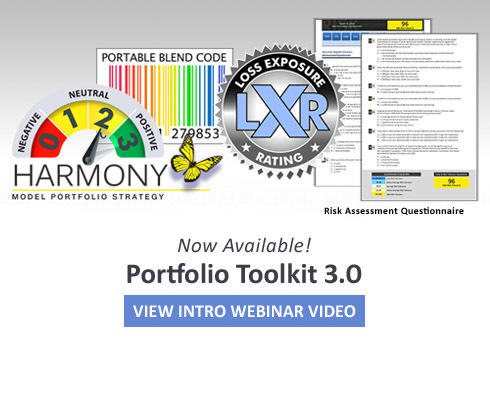 Click here to learn how our Custom Portfolio Reports - CPRs - can make you an instant expert in all your clients' 401ks, 403bs, VA's and other retirement accounts.